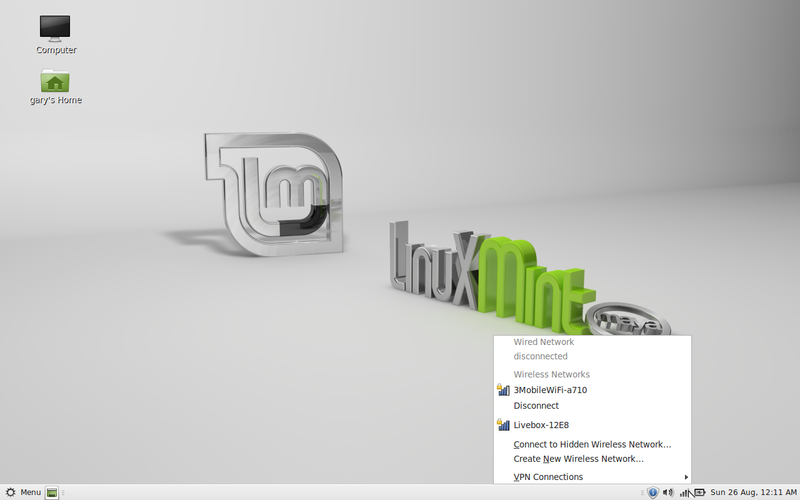 Linux Mint 13 – Everybody’s best mate? 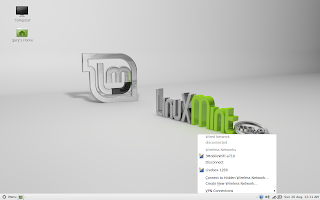 I had Linux Mint 12 installed on my laptop for quite a while but I was never settled with it. The reason for this was the choice of desktop. The Samsung R20 laptop does not seem to handle the Cinnamon desktop at all well and the Gnome classic desktop was just a bit rigid. I therefore had wanted to use the Mate desktop. The trouble was that panels kept disappearing and once they had disappeared it was a real hassle to get them to come back again. I ended up removing Linux Mint 12 and installing Zorin. Zorin worked really well and looked more polished. It has bothered me for some time why Linux Mint was so high in the distrowatch rankings yet it really wasn’t for working for me all that well. Now Linux Mint 13 has been released I have decided to give it another go especially as I have been informed the missing panels on the Mate desktop is now history. The installation was a breeze. A point and click exercise in the same way Ubuntu is. The boot time for Linux Mint 13 is fairly impressive, about 45 seconds on the Samsung R20 laptop.The screen goes black before Mint boots which is a bit disconcerting. 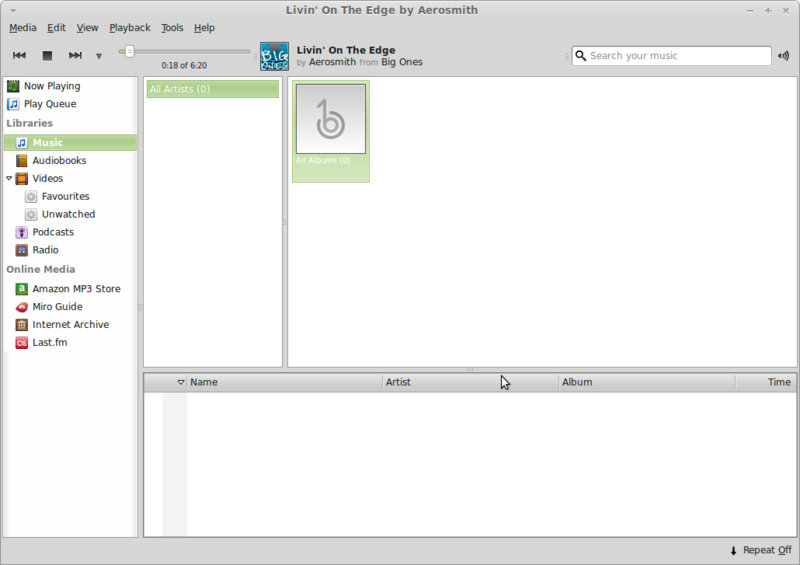 in then you will see the Linux Mint desktop as shown above. Personally I find the default desktop a bit dull so I looked at the stock backgrounds available and changed the background to the following image. A dialogue window appears the first time you run Mint with links to documentation, support, details about the project and the community. 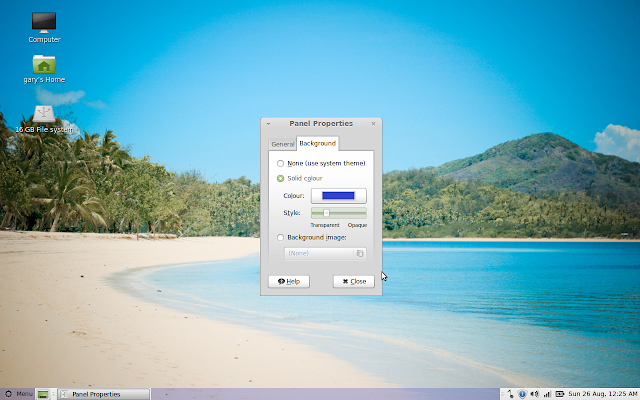 For most computer users the Mate desktop is fairly familar in that there is a task bar at the bottom with a menu button on one side and a series of icons to the right. Any tasks you run get displayed along the taskbar. The problems I had in version 12 with the panels were that they would disappear if you tried to do too much with them (such as change the background colour). I can happily say that the panels are fixed and you can change the background colour without fear of losing the task bar altogether. 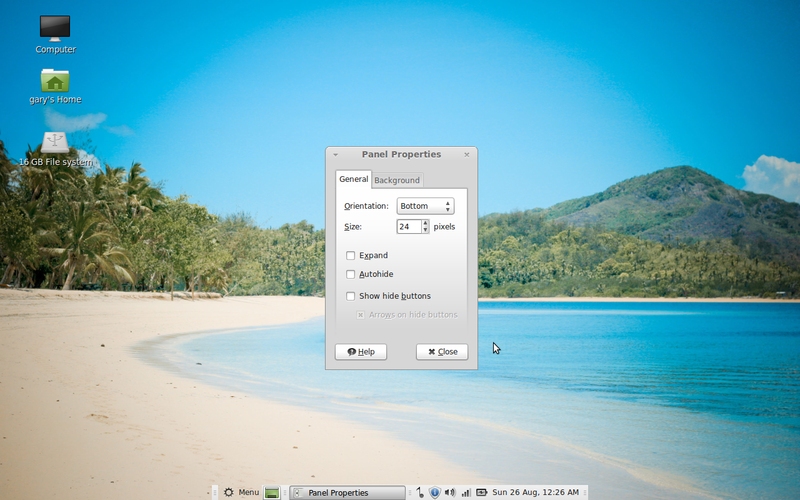 You can choose to change the panel background to a solid colour or a background image. You can also change the opacity to make the bar more or less visible against the desktop background. There are a few more tricks you can do with the panel such as remove the space and hide it so that it is just an arrow button on the bottom left hand corner which expands as you click it. You can also choose to hide the bar until you hover over it. 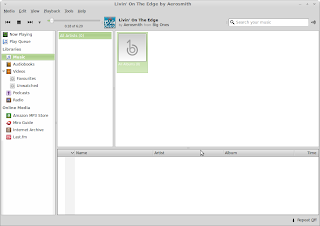 The Mate panels enable you to add various widgets. There are loads of widgets available from application launchers to a swimming goldfish. I find the most useful are the connect to server, force quit, workspace switcher and shutdown widgets. You can have multiple panels and they can be added by right clicking a panel and choosing new panel. The menu button opens up to reveal a large menu which takes up quite a bit of space. Places – Includes menu items for computer, home folder, network, desktop and rubbish bin. There is a link in the top right hand corner to see all applications which changes the favourites section into a list of all the applications that have been installed. If you click on any group the list of applications changes to the applications that belong in that group. The search feature works very well. If you start typing the name of the application or a description of the program a list of suggested applications appears. The applications in Mint 13 are fairly standard. Firefox is the default browser and the office suite is Libreoffice. Banshee is available for music and VLC player is available for watching videos. Thunderbird is the default email client and Pidgin is installed for instant messaging. Gimp is available for image editing and Brasero is available for burning CDs and DVDs. I loaded MP3s from a USB drive into Banshee and they played without requiring further installs of codecs. Now the first thing I do when I install a new system is to try the internet because if there are issues then at least you have a way of troubleshooting the problem. 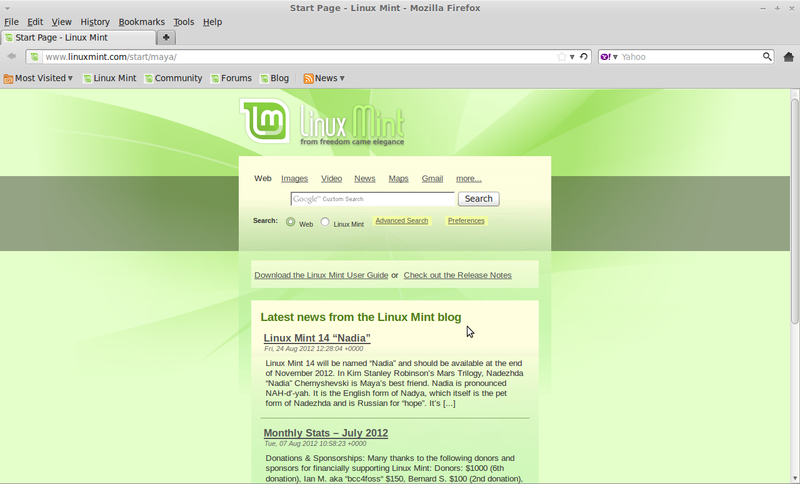 Linux Mint 13 makes it easy to connect to the internet. Both the Orange Livebox and Three mobile broadband networks appeared straightaway. My second port of call is usually to Youtube to see if I can view videos. 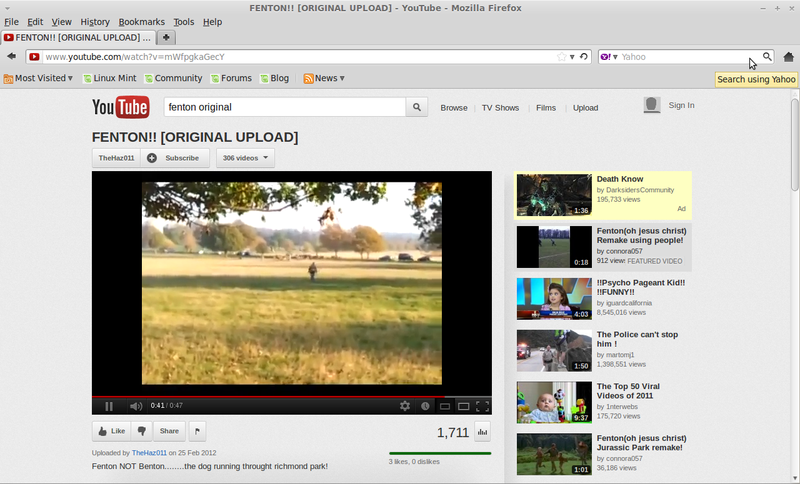 Mint has no issues playing Youtube videos as Flash is incorporated as standard. 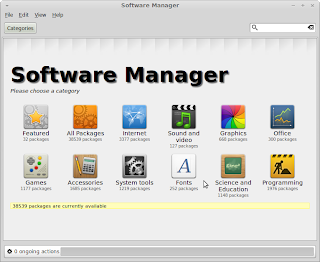 For everyday use Linux Mint has a good set of applications already on offer, however should you need to install software you can pull up the software manager from the menu. Either choose the category or start searching by enter a phrase in the search box. Each application displayed has reviews and ratings alongside them. If you prefer to use Synaptic to search for files then this is available as Package Manager on the menu. 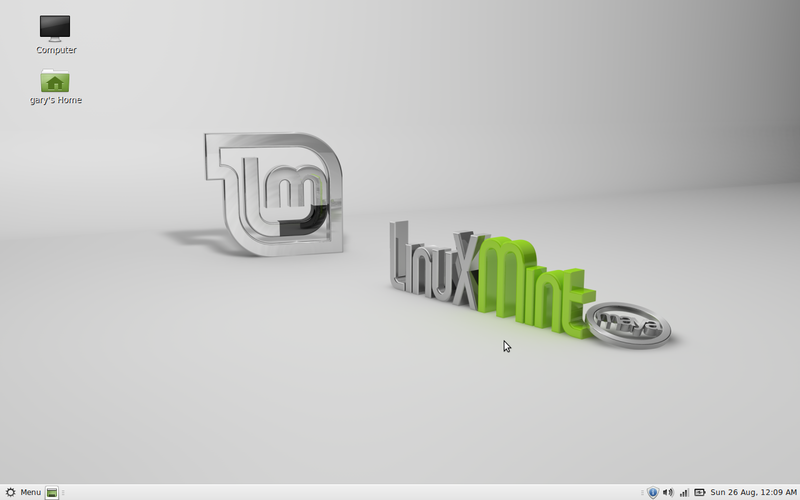 So what do I think of Linux Mint 13? It works very well. The plus points are the ease of installation, ease of use, ease of navigation and ease of connecting to the internet. Everything is installed for you so that you do not need to install extra codecs or Flash. The panels work well now and the panels make Mint very versatile. The menu system divides opinion because it is very full on but I quite like it and you get used to it. It is also possible to customise the menu to make it work for you the way you want it to. There are a lot of distributions now which fall into the category of easy to use and to be honest it is hard to recommend any one distribution over another. Ubuntu, Mint and Zorin. They are all very good. Its sad to see, and i will use these two verbally Gnome and Canonical as the reasons for the mess Linux today is in. They have both moved Linux in a direction of the ab-bis. Both parties forcing distributions to compromise, pulling the rug out from remaining distributions to find a balance in the waves that these two organizations have caused. We all have now been put in the positions of like it or leave it and the alternatives, compromising to find the majority again. Gnome took off running right out of the gate once they heard ubuntu was dropping the standard gnome for what they have today and ubuntu continues to "fix things" they say are broken, that clearly are not. What this has shown is just how strong and weak the multitude of the remaining distributions are that utterly depended on these to front running companies. The computing world as a whole is stumbling, Microsoft, Mac, and Linux. There is controversy in all these arenas with the end there of being very questionable for all three on there current course. I agree with most of what you have to say except, with Linux at least we have the options of Mate, XFCE, Cinnamon etc. With MS and Apple, bzzzt thanks for playing no alternative for you. Actually, "syncdram," Gnome dropped the 2.x DE forcing Ubuntu to come up with a different UI. Fortunately, they already had one in place. Initially, the Ubuntu team was working with the Gnome Shell team but soon discovered they had very different ways of seeing things. The Unity DE is still based on Gnome 3 and, I read recently, there will be a native Gnome Shell DE version of Ubuntu. Also, "Linux" is not in a "mess." 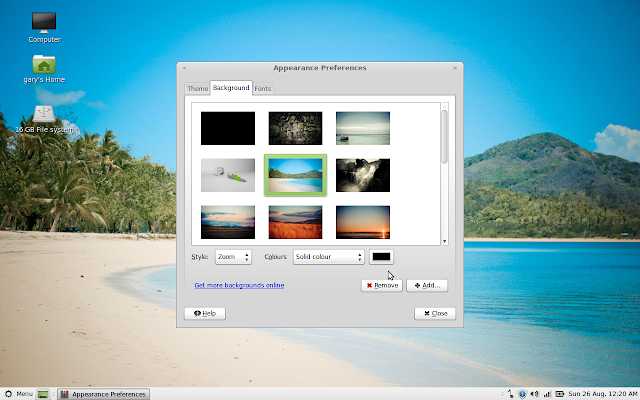 The KDE version (as well as the other DEs) are all doing well. And, even if one dislikes Unity, Ubuntu still has the largest user base of any distribution and gaining more and more every day. 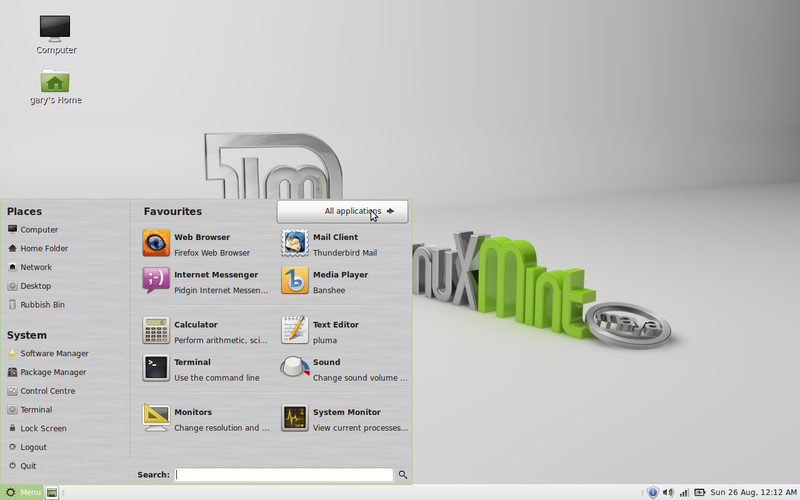 For the best experience with Mint 13 I recommend the Xfce version. It has been running on my laptop since release and has been flawless. When I had problems with both the MATE and Cinnamon versions of Mint 13 (Xfce version wasn't out yet), upgrading my desktop from Ubuntu 10.04 to Xubuntu 12.04 was the obvious choice and has also worked very well. If Xfce is good enough for Linus Torvalds, it is good enough for me. 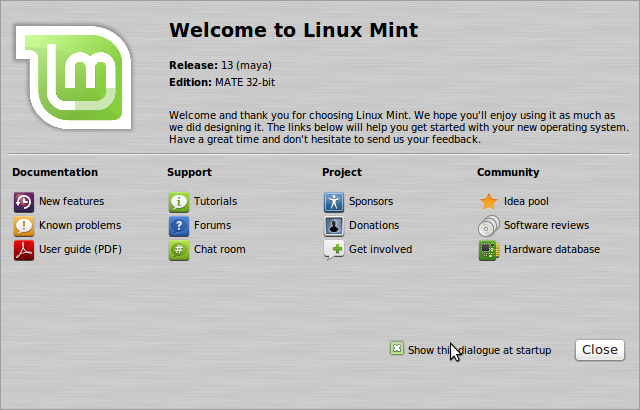 I hadn't used Mint up till recently because I didn't care for their menu layout either. However, with the Mate version, after some experimenting, I realized you could totally remove the default menu and replace it with an option that looks & works basically like Gnome 2. It's my default Linux distro now. …for new, and back ported Iceweasel "release". It's Same as Firefox, but easier to upgrade). You may just need to use the agent plug-in, to set Iceweasel, to present its self as Firefox; by name, for some poorly designed web sites. You may just grab some pre made Firefox identifier strings to select, with the Firefox agent/add-on plug-in. Also add your Flash, DVD playing, and other CODECS. New users can get the old exodles script, and push keys, to add what you need. …to try the smxi scripts. Including proprietary Nvidia card driver setup. …but this will need to adjust for GPU, and monitor type. With these few things added, it is far better, than Mint(Mate), with less upgrade breakages, and good security updates. You will not feel the need to a clean install every Six months, to keep up. …then just run the script. …or right click it to make it executable, as *root/admin*, with GUI Nautilus(not as user). …Will have to be manually added to your /etc/sources.list. …Because their (Debian Multimedia) name changed slightly. …To simply delete the separate sub-sources file; containing the wrong Debian multimedia addresses; in order to clean-up, and stop any update, error messages. exoodles is getting dated, but you will see; once run, it makes adding many extra things very simple, for new users. I think that once you see Debian stable, with your select back ports, and its stable core, and these little additions, manually installed, it i clear where Ubuntu, and Mint got the idea. However, then, you will be using real Debian packages, and only after some level of extensive usage, you will see things just fit better, and this makes the overall stability, and for all program things, less maintenance, with no losses with select new releases. Keep the foundation stable, and then add as few back ports, as you can. It's not that compiling is difficult, but back ports has done this; for you. It is the *best*, cohesive whole, for *any* OS. So, it is worth acclimating to a few simple procedures. There are reasons for this way, and they work well! clean install every six month? For mint 13? It's a long time release, you know, which will be supported till 2017. At times it is best to keep one’s mouth shut and be thought a fool, then to open it and remove all doubt! Even your way to install that Debian is way to complicated. Not all users, I can say, the most users, wish to tinker on their OS, they wish to work, surf the net, hear music, look videos or play games. 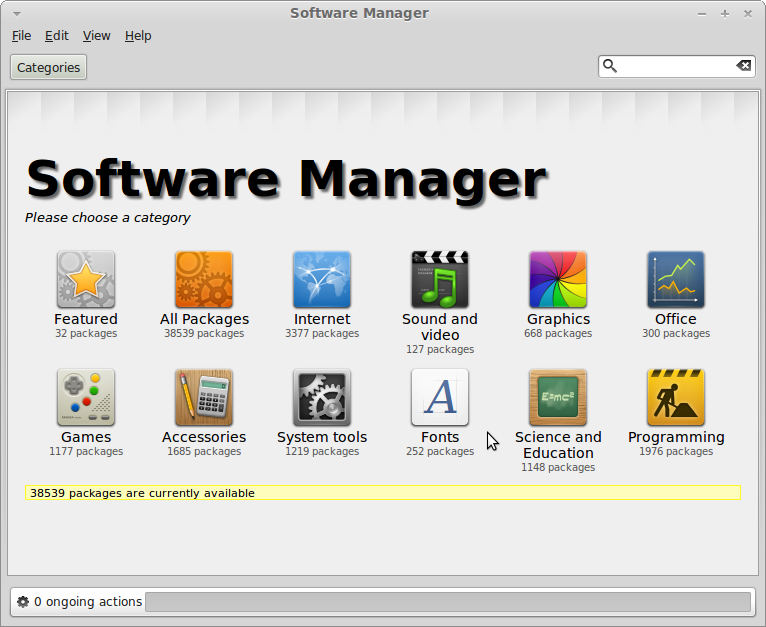 If you wish to work with Debian, take Linux Mint Debian Edition. It's a rolling release, much easier than your way, and by the way complete, ready to use "out of the box".